Club Penguin Cheats by Mimo777 Club Penguin Cheats by Mimo777: Penguin of the Day: Julian18861! Todays’s POTD is Agent Julian18861. He does an ace job for the EPF, always looking out for fellow penguins and always on alert to defeat Herbert! And, well, he just looks uber cool doesn’t he? 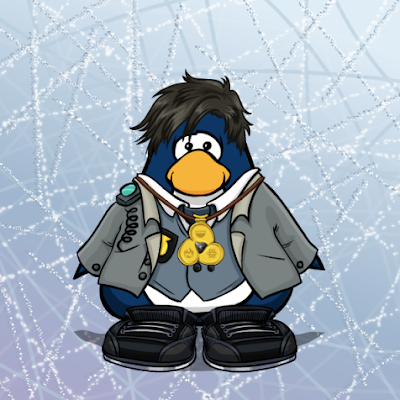 Hi mimo777 you rock I'm julian18861 please become my friend that would be so cool tnx for the cool post on my penguin. Mimo you rock !!!!!!!!!!!!!!!!!!!!!!!!!!!!!!!!!!!!!!!!!!!!!!!!!!!!!!!!!!!!!!!!!!!!!!!!!!!!!!!!!!!!!!!!!!!!!!!!!!!!!!!!!!! So much. Read the rules, not to many exclamation points. :O Well, well done julian! (I'm not Mimo by the way). Well, I hope you're not faking it. If you aren't, then I congratulate you!